So I was out for a run and I went up this long dirt driveway to see where it lead. It was not quite as long as I had hoped but it did lead to a sweet little pine-board getaway. The best part of this place was that it had an outdoor shower on the deck. The shower apparatus was attached to a big old pine tree that made up one corner of the shower and there was glass on three sides and open on the fourth. No drain, the water just went through the deck boards and down the mountainside. I was so tempted to take a shower. I didn’t. But I might go back. lav: well, I kind of like the asphalt-tar-on-the-car look, but I HATE rollerskiing on chip-sealed roads. so awful. lav: i know, but they must be cost-prohibitive otherwise no one would chip-seal, right? lav: wrong. as i so often am. lav: yes indeed. so i drafted and emailed a letter as follows. I have heard that there are plans to chip seal the White River Road next week. 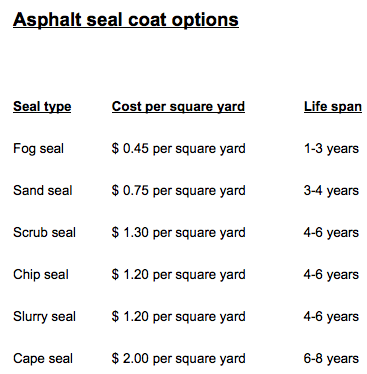 While I appreciate everything the county does to maintain the roads and public lands, I would like to draw your attention to several modern alternatives to chip sealing. 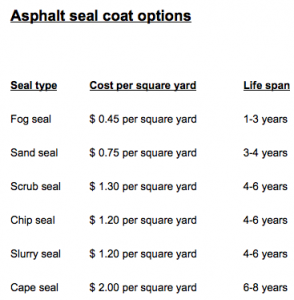 While chip sealing has been a common practice in the past, many other WA counties and western states successfully have switched to more bike friendly methods of road sealing. Using chip seal on the roads, especially roads such as the White River road, which are beautiful & popular roads for rollerskiing and cycling, is not only less pleasant for the outdoor enthusiasts in Chelan County, it is a safety hazard. On a smoothly sealed road, I quite happily rollerski or spin my way along the shoulder. If the road is chip sealed I, and every other cyclist or rollerskier I have ever met, will ski or cycle in the vehicle lane where the car tires make the chip seal much smoother than on the shoulder. This is a much more dangerous place to be as a cyclist or rollerskier but new chip seal can quickly cause your hands (cycling) or feet (rollerskiing) to lose sensation, which also has its dangers. Another solution would be to recommend cylists & rollerskiers to stay home and watch ESPN instead. But is that the message Chelan County wants to give to it’s residents? Thank you for taking the time to understand my concerns and I do hope you will be willing to explore the alternatives to chip sealing. Feel free to copy and paste my message to Jolene and Keith also (addresses above) even if you’re not local… first one road, then the entire WORLD. I woke up early this morning and went for a run. It was a very enjoyable run. Then I had a very nice yoga session with my new kitten. Aside: We got the most adorablest, cutest, tiniest, friendliest, lovablest kitten yesterday and said kitten spent most of yoga curled up squarely in the middle of my mat. She even managed to crawl up onto my lap and onto my belly between seated forward bend and bridge. Then I went straight into half-wheel (also known as a back bend for the rest of y’all) and she was perfectly content to perch on top. Shoulder stand to pike rolled her off though. Soooo Cute. End Aside. I realized, as I was contemplating how nice my run was and how nice it was to stretch out afterward, that THIS run existed for me as a complete and separate entity, apart from any other run or workout or whathaveyou. It started at a certain point in my day, I ran, I came home, it was Good. 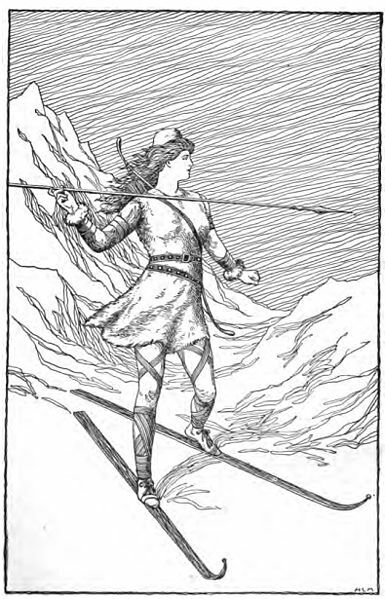 For so long each run existed as only a part of a whole, one piece in the SkiFaster Puzzle. An individual workout was a means to attaining a goal. Of course I enjoyed my workouts but a huge part of that enjoyment was knowing it was bringing me one step closer to accomplishing something bigger. A run always had its place as 2hours OF THE 800 and I was always very aware after a workout of how that workout fit into the grander scheme of things. This morning I ran just for the day. Exactly as I felt like running today. I didn’t think about what I had (er… hadn’t, rather) done yesterday, I didn’t think about what workout was happening tomorrow. I didn’t think about getting faster for some far distant race. I simply ran because running was good and running was the proper thing to do this morning. It’s so refreshing! I feel like I have given the verb To Run its proper homage by running solely for the sake of running in that Moment. No judgment, no value outside of the intrinsic value of running in that moment. That’s the difference. I’m redefining my concept of Running.